Electrical Products Division is awarded for “Maximum Order Volume - 2015”, from ABB for sales in Oman, during the Channel Partner meet held at Hotel Crowne Plaza, Muscat on 18/01/2016. The award was conferred on Electrical Products Division by Mr. Brian Hull, Managing Director, ABB-Oman. BEC has won this trophy among various Channel Partners in Oman. 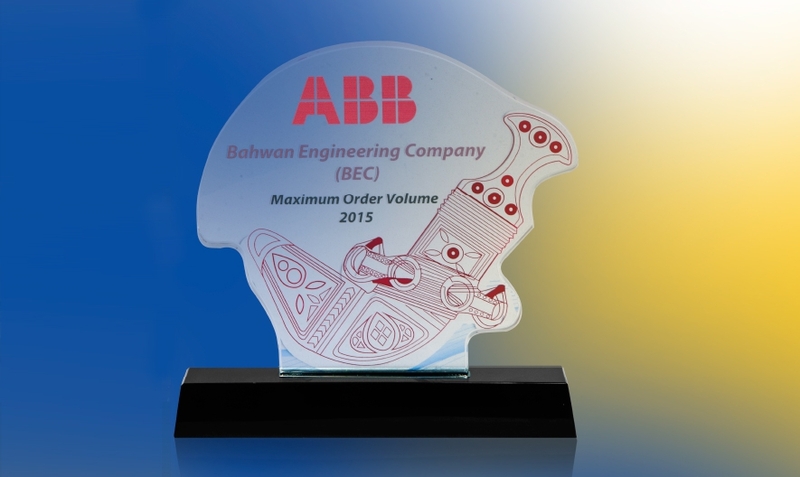 This trophy was awarded to BEC for maximum sales in various product groups from the ABB Portfolio. During the presentation, ABB explicated that detailed evaluation was done among their partners in Sultanate of Oman using multiple criteria that included order volume, methodology, tenacity etc. in marketing specific products.